Construction of the nearshore reef is underway! The Toronto and Region Conservation Authority, on behalf of the City of Toronto, is preparing to undertake works at Gibraltar Point as part of the Gibraltar Point Erosion Control Project. The work is tentatively scheduled to commence on September 10, 2018 pending the receipt of the necessary permits and approvals, and is anticipated to be completed in Spring 2021 with site restoration. The Toronto and Region Conservation Authority has now completed the planning and design process approved under the Environmental Assessment Act in the Class Environmental Assessment for Remedial Flood and Erosion Control Projects for undertaking a remedial project regarding the Gibraltar Point Erosion Control Project located at Gibraltar Point on the Toronto Islands. We thank you for your interest, and for your participation in the planning of this project. Toronto and Region Conservation Authority (TRCA) is pleased to announce the filing of an Addendum to the 2008 Environmental Study Report (ESR) prepared in accordance with the Class Environmental Assessment for Remedial Flood and Erosion Control Projects (2013), approved for projects of this type. Interested persons are invited to review this addendum document below. Copies are also available for review at the Fort York Public Library (190 Fort York Blvd, Toronto, ON, M5V 0E6), City Hall Public Library (100 Queen Street West, Toronto, M5H 2N3), and at the TRCA head office (101 Exchange Avenue, Vaughan, L4K 5R6). You may provide comments, by Thursday April 12th, 2018 in accordance with the Class EA process, to the TRCA. Toronto and Region Conservation Authority (TRCA) has commenced an addendum study to an Environmental Assessment (EA) that was completed and approved in 2008 to provide long-term erosion protection of the Toronto Island, along the southwest shoreline, approximately located between Hanlan’s Beach and Gibraltar Point, in the City of Toronto. Thank you for attending the Public Information Centre (PIC) on November 16, 2017 for the Gibraltar Point Erosion Control Project (Environmental Assessment Addendum). If you were unable to attend the meeting, a copy of the presentation, the PIC panels and an online comment form are provided below. Please submit your comments on the Gibraltar Point Erosion Control Project EA Addendum by December 1, 2017. NEW! Please join us for our Public Information Centre on November 16th. 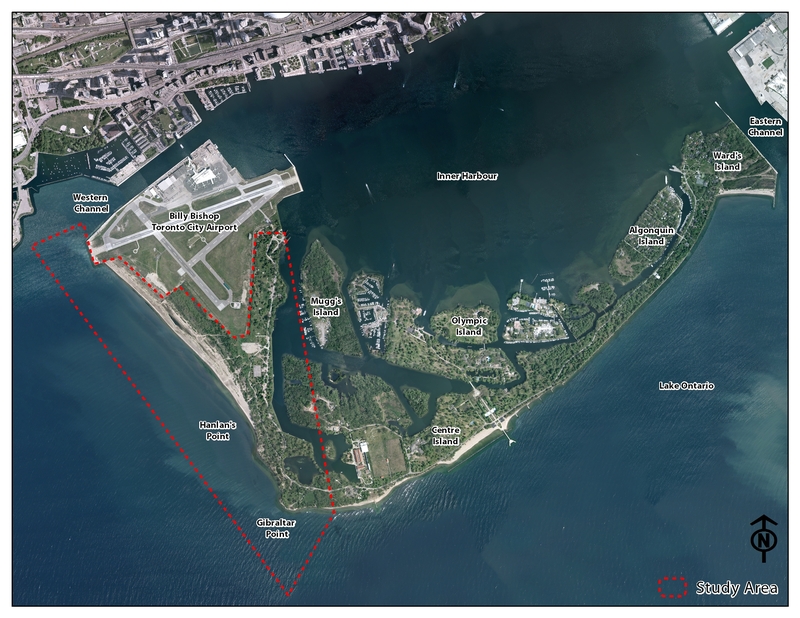 Toronto and Region Conservation Authority (TRCA) and the City of Toronto are hosting a public meeting for the Gibraltar Point Erosion Control Project, Class Environmental Assessment Addendum (Gibraltar Point Project). The meeting will also include information regarding the recent flooding on the Toronto Islands. Please join us to learn more about the Gibraltar Point Project, Lake Ontario impacts on the Toronto Islands, and provide feedback on the preferred Gibraltar Point Erosion Control design concept. Open House: 5:30 p.m. – 8:30 p.m. Presentations start at 6:30 p.m. In 2016 partial funding was secured from the City of Toronto to implement the Gibraltar Point Erosion Control Project. As erosion control measures were not implemented within five years of the 2008 approval of the Conservation Ontario Class Environmental Assessment for Remedial Flood and Erosion Control Projects (Class EA), an addendum under Section 6.0 of the process is required. The objective of this addendum is to reconfirm our understanding of the existing conditions of the shoreline and to ensure that the underlying conditions and results of the Class EA remain valid. The amendment will be completed prior to the start of construction. 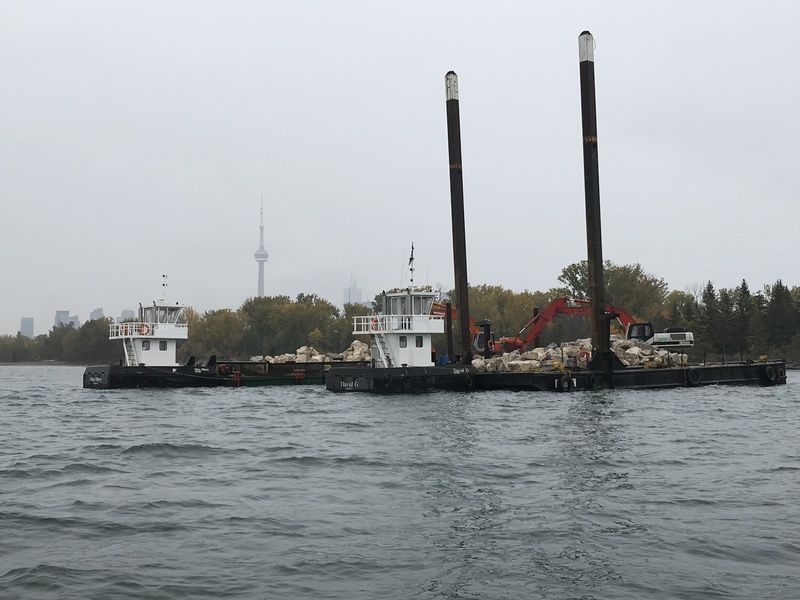 The objective of the Gibraltar Point Erosion Control project is to provide long-term protection and viability of the functions and uses of the Toronto Islands, such as: recreation; critical infrastructure (parks, water, roads); and aquatic as well as terrestrial habitats. TRCA must conduct remedial flood and erosion control projects in accordance with the Environmental Assessment Act (EAA). Recognizing that common elements exist in addressing flood and erosion problems, a coordinated approach to environmental assessment was developed by Conservation Ontario for all conservation authorities known as the Class Environmental Assessment for Remedial Flood and Erosion Control Projects (Class EA). As erosion control measures were not implemented within five years of the approval, an addendum under Section 6.0 of the process is required. The objective of this addendum is to reconfirm our understanding of the existing conditions of the shoreline and to ensure that the underlying conditions and results of the 2008 Class EA remain valid. The amendment will be completed prior to the start of construction. The Class EA addendum process provides an opportunity for all views respecting a proposed remedial flood or erosion control project be taken into consideration. As in 2008, there will be a Community Liaison Committee (CLC) that will allow citizens, local interest groups, and non-governmental organizations to voice their opinions and assist in the planning and design process of the project. In addition to the CLC, those wishing to participate in the addendum process are invited to attend a public meeting (date to be determined) and/or contact the project team directly. Gibraltar Point is located at the southwesterly tip of the Toronto Islands, on Lake Ontario. Erosion has been documented at Gibraltar Point since 1879. In 1972, significant storm damage prompted the first of several studies recommending various long-term remedial solutions. Despite these recommendations, no major remedial actions were financially supported. Attempts were made to protect the Gibraltar Point shoreline with gabion baskets and rubble. These attempts had short-term success as they failed to address the large-scale coastal processes affecting the site. A severe storm event in February 2004 caused significant damage to an existing washroom building and associated infrastructure, prompting the City of Toronto to request the assistance of the Toronto and Region Conservation Authority (TRCA). TRCA responded by immediately securing the shoreline adjacent to the washroom with emergency shoreline protection. TRCA with support from the City of Toronto, completed an Environmental Study Report (ESR), in accordance with Conservation Ontario’s Class EA process to develop a long‐term solution to address the shoreline erosion around Gibraltar Point (TRCA, 2008). As part of the Class EA process, TRCA retained Shoreplan Engineering to complete a coastal analysis to determine the regional processes around Gibraltar Point and assist with the development of alternative long-term solutions to the shoreline erosion. The results of Shoreplan’s investigations determined that although erosion and deposition are occurring at various locations between the Western Gap and Gibraltar Point, there is an overall net loss of sand resulting in ongoing shoreline erosion. A comparison of hydrographic survey data shows a lowering of the lakebed in the nearshore area around Gibraltar Point, which is consistent with the undermining and eventual failure of previous local shoreline protection works. 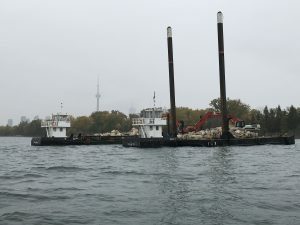 Furthermore, Shoreplan’s findings indicated that over the next 100 years, a substantial loss of highly valuable recreational and ecological land is projected, ultimately resulting in the breaching of the Islands from Lake Ontario to the Inner Lagoons within the next 20-25 years. The preferred alternative identified through the Class EA process was a sand management approach which recognized that some form of offshore structure would likely be required to reduce the volume and frequency of sand required to be placed at Gibraltar Point. The preferred offshore concept developed through the Class EA process was a breakwater. On March 17, 2008 the findings of the Gibraltar Point Erosion Control Project were approved under the Class EA process. In 2009 TRCA and the City of Toronto retained W. F. Baird and Associates (Baird) to undertake a Phase II Coastal Engineering Study (Phase II Study) which included coastal engineering analysis and final design for the Class EA outcomes. As part of their Phase II Study, Baird was directed to complete two supporting assessments: 1) evaluate potential offshore sand sources for an active sand management approach at Gibraltar Point; and 2) and assess the projects potential impacts on the formation of transitional hind dune system present at Hanlan’s Beach. Baird concluded that if an entirely non-structural approach for erosion control was selected, approximately 30,000 to 60,000 cubic metres of sand (or 3,000 to 6,000 truckloads) would be required every year in the area of Gibraltar Point, to avoid continued erosion through the existing coastal processes. Given the uniqueness of the sand dune processes along Hanlan’s beach, the sand selected would also need to meet very specific conditions to allow those dune processes to continue. The report evaluated a variety of local nearshore sand sources along Lake Ontario. It concluded that all of the sources were either inappropriate for use at Gibraltar Point due to physical limitations (e.g., grain size, sand quality, volume) and/or incompatibilities with other shoreline management strategies. It is also fundamentally impractical to deliver the required volumes of sand on an annual basis, without significant costs and significant disruption to beach users. 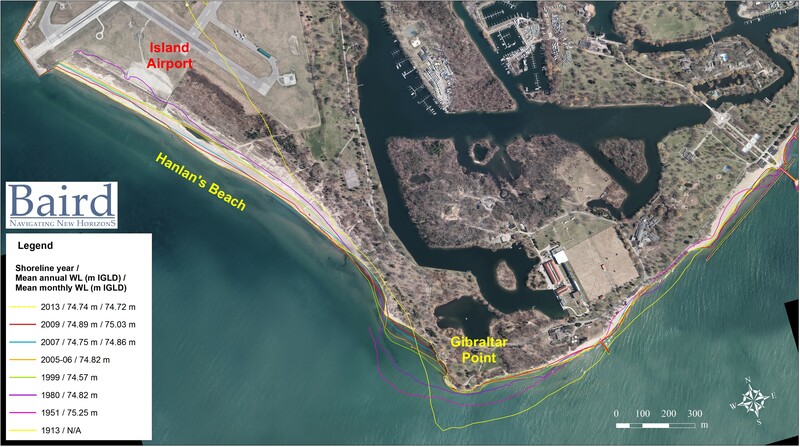 Hanlan’s Beach has likely reached capacity, and, hence, the beach front will no longer migrate westward as a result of ongoing erosion at Gibraltar Point. Therefore, the observed transitional hind dunes will shortly, or have already begun to stabilize to upland forested habitat, even without any intervention (i.e. no focused sand management or off-shore structure). As a result of the supporting studies, Baird’s Phase II Study will complete a detailed assessment of offshore structures that could be combined with a sand management approach; that, would involve the placement of locally acquired sand onto the shoreline in the area of Gibraltar Point, over a period basis, to restore land lost to erosion. Possible offshore structures for a preferred alternative identified in the 2008 Class EA include submerged sills, low-crested structures, emergent breakwaters, and groynes. Two additional alternatives will be assessed including a stand-alone sand management approach and an offshore breakwater, groyne, with focused sand management. Subject to the findings of the addendum process and prior to construction, Baird will finalize their Phase II Study. Since 2008, the unprotected land around Gibraltar Point continues to be subject to significant erosion, putting places of culture, natural ecosystems (such as Environmentally Significant Area, an Area of Natural and Scientific Interest, and Provincially Significant Wetlands) and built infrastructure in jeopardy of complete loss. This project seeks not only to protect the loss of the island, and risks to infrastructure, but also to ensure that sand transport remains in place to maintain existing beaches and sand dunes. In 2016 partial funding was secured from the City of Toronto to implement the Gibraltar Point Erosion Control Project. In accordance with the Class EA 5-year review process the 2008 EA requires an amendment. The objective of this amendment is to reconfirm our understanding of the existing conditions of the shoreline and to ensure that the underlying conditions and results of the Ministry of the Environment and Climate Change approved Class EA remain valid. The ammendment will be completed prior to the start of construction.